Have a dance party that people will enjoy! Make plans prior, find great music, and figure out what type of food and snacks will be enjoyed. Decide if you want a theme to your party, it doesn't have to be something to dress up to, but maybe you could give it a cool name like "Revolution" or "Summer 2013". Make flyers at least two weeks in advance, a month is best just to give people a heads-up to plan. Pass out handbills and hang posters until a few days before the party. Secure your music collection and make sure you have a way to play it on your sound system. If you are going for a 'Club/Rave' type theme, hire a DJ! Skilled DJs know how to properly blend tracks together without skipping a beat. Professional DJs get the latest hits months before they actually hit the airwaves (if ever), and they also know how to cater to everyone, not just an individual. 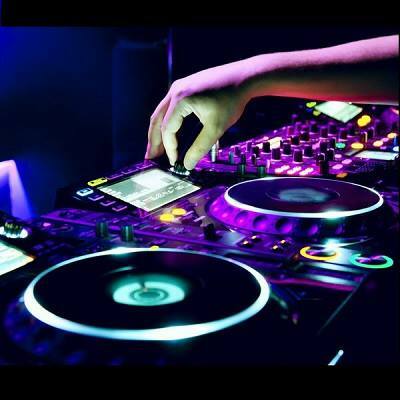 You could hire DJs on RentZeal (http://goo.gl/4G6Jmt). Set up sound. You can rent speakers from RentZeal (http://goo.gl/I2bfJd). Also, make sure you light-up the place using mirror balls (http://goo.gl/gncWE) and spot lights (http://goo.gl/3Vh0z). Set up decorations related to your theme and put a sign out on the street with the name of your party and light it. Use a place that has a good enough 'club' feel to it, black plastic hung on the walls works great. Be sure to leave holes for windows so they can be open when the dance floor gets too hot. Have plenty of cold water and drinks available. When people are dancing they will get hot and you do not want people to become dehydrated. Also be sure to provide snacks with energy, like candy and pretzels. You can also choose from the food-supplies on RentZeal (http://goo.gl/AnMPRm). Be sure to provide a place to cool off, relax and talk. Party goers won't be dancing the whole time and having a place to talk really makes a party enjoyable. Planning a birthday party for your child could feel like a big hassle. Don't worry. We made a simple five-step process for organizing and hosting an awesome party in matter of minutes. Decide how many guests to invite. This will determine everything else, including how much space you'll need and how much food to get. Be sure to send out invitations in a timely way. There are different considerations for various venues. For example, if you have the party at home, you'll have more work to do, including setup and cleanup. You could also host the party in the kid's playground and set-up a bouncy houses. Other options include renting a room at the local recreation center or booking a child-centered place. Start by considering the child's favorite characters or interests. That can guide how you'll decorate, including what serving items you'll get. If you plan to provide favors for guests, coordinate them with the theme. For decorations, consider banners and balloons. You can get all the decoration you want from www.rentzeal.com (decor section). You can keep the party simple with games in the backyard. Or, you may want to book special entertainment, such as an inflatable bounce house. Check www.rentzeal.com and book a bouncy house that goes with your theme. A child's birthday party may feature homemade cake or cupcakes and other simple treats, in addition to hot dogs or other simple fare. Or, you may want to have a special cake or other food provided by professionals. If you cook yourself, be sure to buy ingredients ahead of time, and make as much as you can in advance so you aren't overwhelmed the day of the party. If you order a cake, plan to do it no later than a week in advance to ensure it can be done in time. You can also order cookies etc. on www.rentzeal.com itself, while you are making other orders. As much as possible, relax and enjoy this special time with your child. Throw an amazing Black Light Party? To have the best black light party possible, it needs to be pitch black. The idea behind a black light party is that everyone shows up in white t-shirts, and use glow-in-the-dark pens to write all over each other’s shirts. The best part of a black light party is seeing what people will have written on them by the end of the night. It is very interesting to read your shirt the next day or as the party comes to a close. Just like all other parties, make sure to hide all valuables and breakables in another room. The party should be at night so that it is as dark as possible in the rooms. Replace all the lights with black lights. Use as many as possible because it will only get better with more black lights. Cover the tables with tablecloths that have fun patterns and will react with the black light. Get glow-in-the-dark plastic cups for beer pong and other events. They can be used just like the standard red cup; they are just more fun to see. If there is going to be any plates, straws or things of that nature, try to get the ones that glow-in-the-dark also. Strobe lights are also a nice addition. Just ask around before the party because there is usually at least someone coming to the party that has one. There is no need to buy another if that is the case. Have plenty of black light markers so that everyone can grab one and start writing all over one another. If possible, have a few extra crappy white shirts for people who cannot handle the pressure of dressing up correctly for the party. A pack or two of undershirts from WalMart or a similar store will work fine. For those looking to take it to the next level, cover the walls in black butcher paper and paint fun designs all over them. Beer! This may sound obvious, but it gets forgotten too often. If you plan on supplying the beer, then make sure to buy a keg with a party tap. Beer goes fast, so make sure you plan accordingly. Make sure to have plenty of snacks. Pretzels are always a good touch, as are chips and dip. People love trail mix as well. You may make the hard alcohol a B.Y.O.B. occasion. Hard alcohol is expensive and adds up quick. You are already hosting the party, so make the guests help out by bringing something to drink. Dressing for a Black Light Party is very easy. In the most general form, all you need is a white shirt. Make sure that it is a white shirt that you do not mind ruining. The shirt is going to get written on by many people in many colors and the writing will never come out. A lot of people keep the shirts just for fun if there is something good written on them; but, for the most part, they are just thrown away the next day. If you want to have a little more fun with the outfit, then try to find something that has a fun pattern and reacts to black lights. It is also a good idea to wear glow stick bracelets and necklaces. Don’t be afraid to bring extras for others. A lot of people will forget them and want to borrow yours. If you have a family member or a good friend who is about to move to another city, state, or country, it would be nice to bid him farewell properly. While it may be difficult to say your goodbyes to someone close to you, giving your loved one a memorable send-off will help him jump start the next chapter of his life.